Liverpool winger @RyanBabel has completed his move to Bundesliga side Hoffenheim, after signing a two-and-a-half year contract at the Rhein Neckar Arena last night. ‘Pool accepted a £6 million bid for the Dutch forward last week, but the deal appeared to be wavering until late on Monday, when the player flew out to finalise the contract details. By offering Babs a relatively short deal for a supposedly gifted 24-year-old, it seems like Hoffe are about as sold on the ‘he’s got massive potential’ argument as Rafa was. He will bi missed. For a day or two. What a daft article. It’s more like ‘after being wasted, sitting on the bench while players like Kuyt and N’gog (who no one wanted to buy) ran around the pitch doing sweet fa, Babel was not going to sign a long contract anywhere else’. 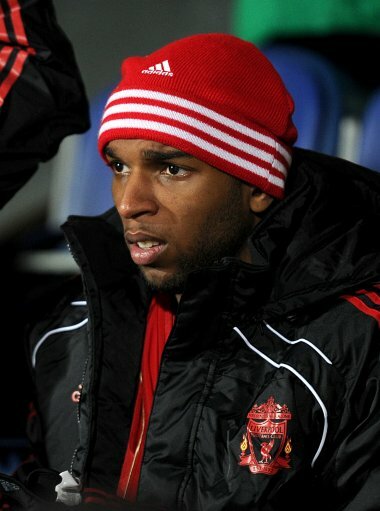 @Gab: Contrary to popular rose-tinted hindsight, Babel’s attitude meant that didn’t deserve a place in the Liverpool team a lot of the time (especially in his early-to-mid Anfield career) and when he finally did get handed his chances (of which there were far more than many people seem to remember), he repeatedly didn’t take them. For my money – a brainless player, found out at a pressure-cooker of a club. @chris – what do you know about his attitude? In his early career, do you mean the player that equalled the number of goals scored from the sub’s bench for Liverpool in a season? Disappointing? Admit it, you are making it up as you go along. Suppose you think that fighting in a bar over the dj not playing Phil Collins is a good attitude. And if Maxi and Kuyt are so good, why is no one knocking the door down to sign them? And tell me, which of those two have had more good games than Babel? Kuyt has played 3 times as many games and done very little, can’t beat a man, can’t cross, has poor ball control. I think your comment stinks of the kind of bias that made it plain that the guy was best out of the club. Good luck to him, hope he get less blinkered supporters at his new club, while we continue to suffer the Maxis and Kuyts that we clearly deserve, if we think they are better players. His chances, far more than people remember, a very good, concise description there. That makes everything clear and clearly is not a load of waffle saying nothing at all. Or…he just never lived up to his potential. Babel was at times vaguely exciting, and as a reds fan I (for some reason) I often felt optimism and excitement when he was subbed on. How about as a fair-well to a possibly misunderstood/wrongly billed player you find footage of his goal against chelsea in the champions league, Chris?